The Lumo Run is a personal running coach built inside a small sensor that clips onto any pair of shorts (or leggings). With your smartphone nearby and headphones in, it delivers real-time audio insights into your running to help correct form, reduce the chances of injury and hopefully get faster. This is Lumo's third wearable after the posture-correcting Lumo Back and Lumo Lift and it's harnessing much of the same sensor tech to give the Run its tracking powers. At $99, it's significantly cheaper than buying a GPS running watch, but it is only compatible with iPhones, so that's something to keep in mind. We've been putting the Lumo Run through its paces for over a month now to find out if the makers of a posture tracker can actually make a good wearable for runners too. When the Lumo Run was first announced it was pitched as a pair of smart running shorts or capris that you can slip the sensor into. Then the decision was made to launch the Lumo Run sensor with a small rubber case so you can clip it onto any running kit and make it smarter. We reckon this makes a lot more sense. The thumb sized sensor keeps things simple on the design front and that's not all that surprising when you're not going to need to look at it during a run. There's a small compartment at the bottom that hides away the microUSB charging port and a single LED notification light to indicate whether it's got enough battery to track a run. The black rubber casing is a lot like the one you find on the (now ancient) Fitbit Zip with a clip that offers a clamp-like grip to ensure that it doesn't go flying off. Initially, this was our biggest concern about wearing the Run, but it hasn't managed to fall off once. Placement is key with the Lumo Run sensor. If you don't wear it properly, you won't get the data. It can only be clipped on the back of lower body garments (shorts, leggings etc) because it needs to be in alignment with the spine to provide the most valuable data. We thought this could potentially be an problem for those that tend to wear shorts and leggings at the same time on those colder running sessions along with a running bag around waist. Fortunately, it didn't appear to have an impact on the sensor picking up the data. The sensor is sweat and waterproof, which in practice means it's good for a run in the rain rather than accidentally taking it for a dip in the pool or throwing it in the washing machine. Thankfully, the latter didn't happen once, but it's always a concern and just to be clear, you do need to remove the sensor before giving your sweaty shorts a clean. Running with the Lumo Run is surprisingly really comfortable and you barely notice it once you're in the zone. It's really light (25g to be precise) and the clip doesn't rub against your back. It's everything you'd want from a running wearable; something that's unobtrusive and you're not having to constantly fiddle around with. So how does Lumo Run work its magic? The little pod packs in a 9-axis sensor array, which includes an accelerometer, gyroscope, magnetometer and a barometer. It sounds pretty standard fare, but along with Lumo's software algorithms, it's able to track six key metrics. Those are cadence, braking, bounce, pelvic rotation, ground contact time and stride length. If you don't know what those metrics mean, Lumo does a good job of explaining them inside the companion app. The wearable sports coach is back, but can it impress the second time around? Cadence and stride length are metrics we've come across before, but there's some new additions here that Lumo believes will provide a more comprehensive picture of your running form. So what's missing? There's no heart rate monitor support disappointingly, which means you do miss out on some of the running metrics you'd find a top end Polar or Garmin running watch. You can run without a phone and the sensor will collect the data, but it'll lack the GPS tracking data, which is taken from your phone. You'll also of course lose the audio coaching if you ditch the headphones as well. For the best experience, you'll need to have your iPhone and headphones with you. It's worth adding that while you can use it on a treadmill as well, the features are best reserved for getting outdoors. While some runners might bemoan the fact that you need to carry your phone with you to really reap the benefits of what Lumo has to offer, it is as least a very easy piece of software to get to grips with. It's currently iOS only (sorry Android and Windows phone owners), and the emphasis is on making the experience as streamlined as possible. So there's a menu dedicated to viewing previously tracked runs, a screen to launch new runs and view current run goals and a coaching section. The latter is where you can get recommendations based on your runs, which take the form of simple exercises that aim to improve elements. You can also view trends breaking down the various metrics to quickly see improvements or drop offs and a list of your personal records. That's your lot and that's actually a good thing. The time spent in the app should be minimal, even when exploring the exercise recommendations or trends because you can get a pretty good feel of where you're at after a syncing run. It means you can focus where it matters and that's making those improvements when you're out running. Real-time coaching wearables are still in the infancy. We're looking at the likes of our Sport Wearable of the Year 2016, the Moov Now and the Oakley Radar Pace smartglasses that are among the most notable examples of how it can work well. You can now add Lumo Run to that list as well. Over the past month, we've seen noticeable improvements in our running and much of that is down to this small little sensor. What we should mention is that this coaching process actually happens even before you go out running. Based on previously logged sessions, the app takes the data, analyses it and recommends pre-run exercises to help you warm up and prepare your body for a workout. It does the same after a run as well and this is the first time we've seen a company pay attention to what happens before and after a run, which are arguably as important to what happens in between that time. The manner in which Lumo delivers this coaching is what really impresses. This is not simply barking out data to you, it's telling you that you need to work harder to reach your target cadence goal and how you can do that. It will tell you to keep your chin up and face forward to improve running posture or roll your arms back more to create a more effective running action. A buzz will tell you when you're not getting it right and a ping means you're starting to nail it. A coach barking in your ear might sound like a nightmare to some, but it really does work well, keeping you motivated to improve and you can noticeably feel when you're getting things correct. It can be slightly demoralising when you're struggling to hit certain targets, but that's part of what is so good about the Run, it's pushing you to do better. As far as accuracy is concerned, the Run impresses well on the whole. GPS and pace tracking is done via your phone and mapping is unsurprisingly accurate when compared to the TomTom Spark 3 GPS running watch. We will say that pacing was a little off on the one occasion though as the screenshot above shows, but generally it's very good. We also checked out how the cadence fared for accuracy against the (cheaper) Moov Now worn around the ankle and it was pretty much spot on that front as well. As we've already mentioned, the Lumo Run features microUSB charging so there's no proprietary cradle or dock to keep close at all times. 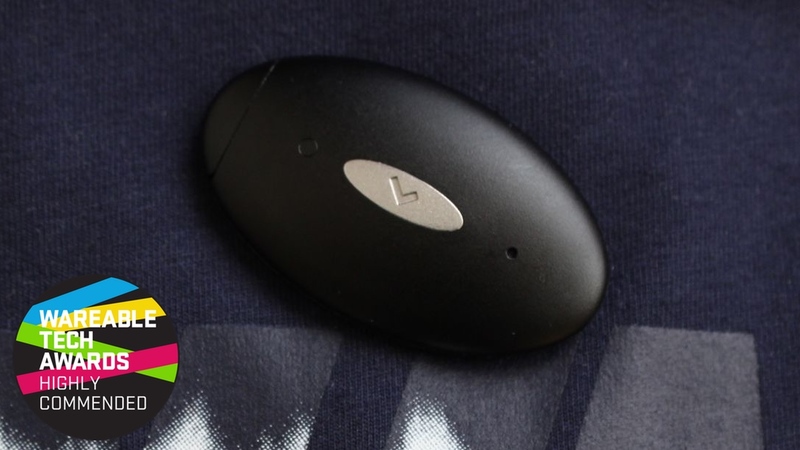 Lumo claims you should get 20 hours of run-tracking and 7 days in standby mode. That's pretty much what we found in our time using it. It'll get you through a week of 4-5 sessions of running before you need to power it up again. Ultimately, this is not going to die after a day and whether you're a short distance runner or like putting in a decent amount of miles, it's up to the task. We've been asking for proper real-time coaching wearables and the Lumo Run is another standout example of how it should be done. Yes, you still need to harness the power of your smartphone and headphones to get the best out of it, but we haven't been this impressed since the Moov Now. The insights are useful, whether it's before, during or after a run, and the biggest compliment we can give it is that we're still using it. If you're a runner looking for a way to train smarter or looking for some guidance, the Run is well worth checking out.